This Villas Rio Mar Dominical located by the River Baru, close to the beach and surrounded by tropical rain forest. This very much resembles paradise on earth; with white sand, glorious green vegetation, turquoise ocean and plenty of exotic animals and colorful birds. The tasteful and elegant hotel delivers comfort and style. While its location is secluded, it is easy to reach by road or plane. It is just a few minutes away from Dominical. Especially known by avid surfers, and Quepos, home to the wonderful Manuel Antonio National Park. This is one of the most charming Hotels of the South Pacific coast. There are no shortages of what to do in this splendid area, where nature, sports, and eco-tourism meet. 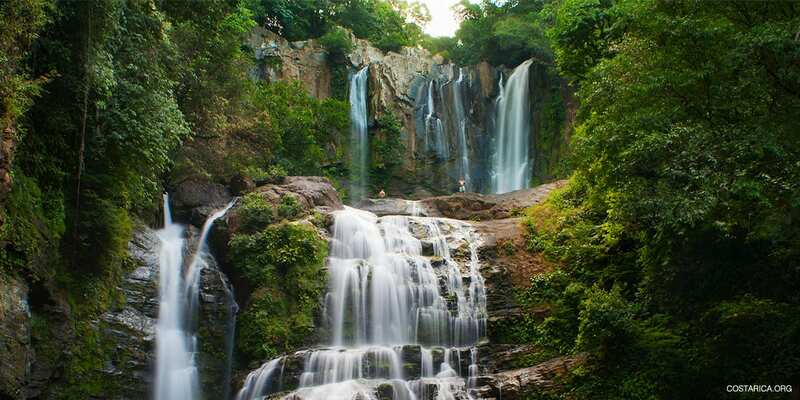 There are magical Tours to Manuel Antonio National Park, to the Marino Ballena National Park for whale watching, tours to the Nauyaca waterfalls and Chirripo Grande. Surfing, sports fishing, kayaking, hiking, scuba diving, swimming, snorkeling, mountain biking, zip line canopy tours and more. Take advantage of the packages on offer and stay in Villas Rio Mar Dominical for more adventure and discovery. 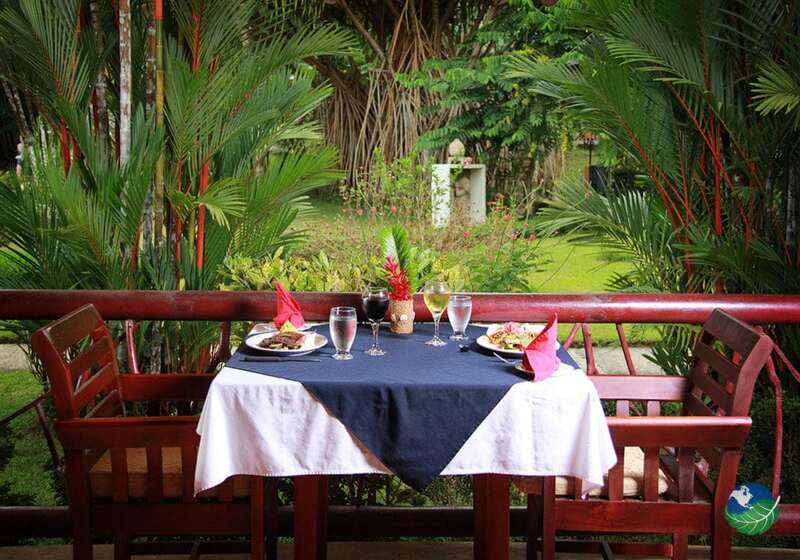 It is also the ideal place to relax and to enjoy a wonderful holiday in the tropics. 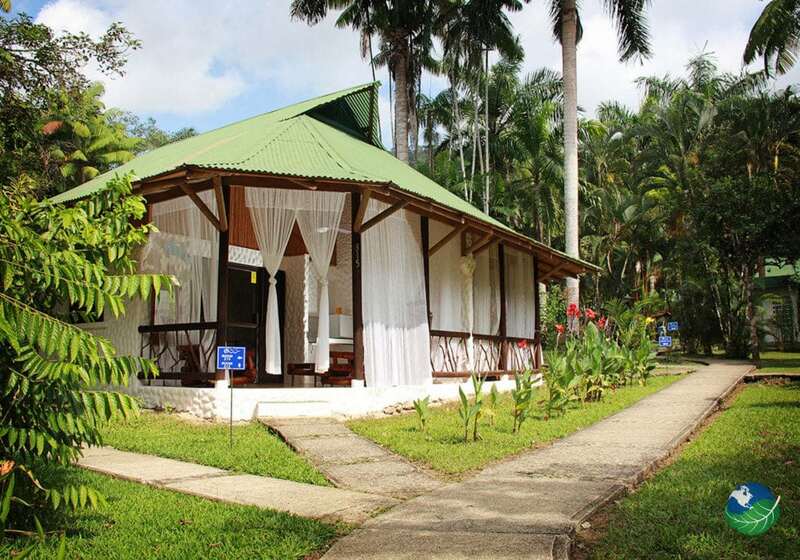 Villas Rio Mar Dominical has a nice choice of accommodations to suit everyone’s needs and taste. The Junior Suites are fully equipped with direct TV and air conditioning, and they sleep up to four people. They come with a lovely terrace and have their bathroom with hot water, a fridge, and a fan, telephone and Internet connection. The superior room takes up to three people and offers the same amenities, with one queen size and one single bed. Both Junior and superior are non-smoking. The Standard Bungalows sleep up to two people and also have a lovely hammock on the terrace, and a choice of one king-size or two individual beds. 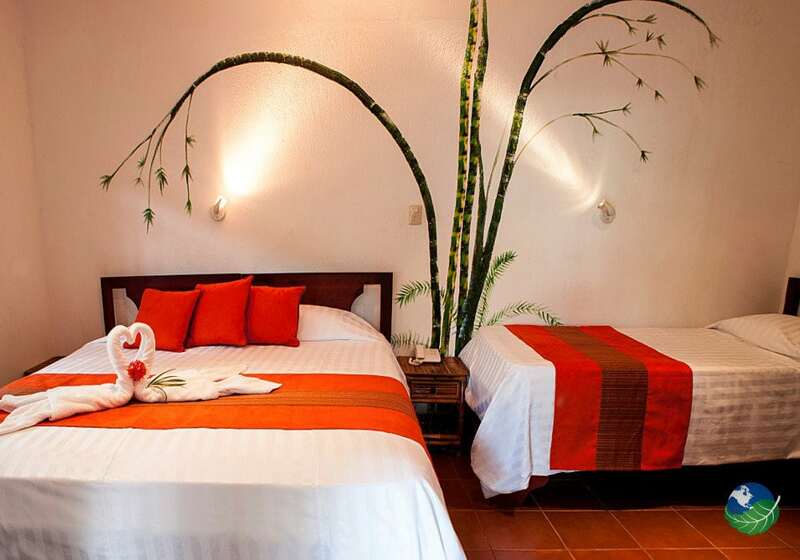 The room offers a view over the wonderful landscape of the Pacific Coast of Costa Rica and is comfortable and cozy. The gardens of the hotels are lovely for taking a stroll while the huge pool will lure you to relax and have fun. 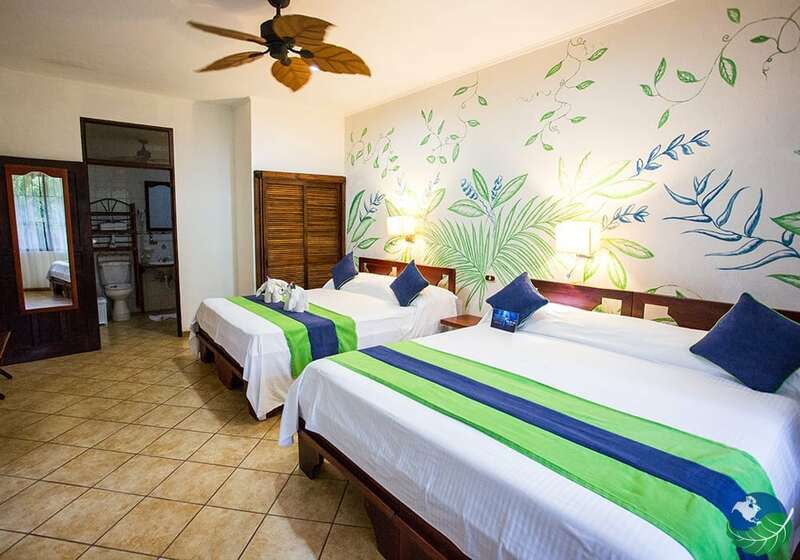 For those who want a fun, active yet comfortable and elegant hotel, the Villas Rio Mar Dominical brings you excitement, action, and comfort in a friendly and cozy atmosphere. 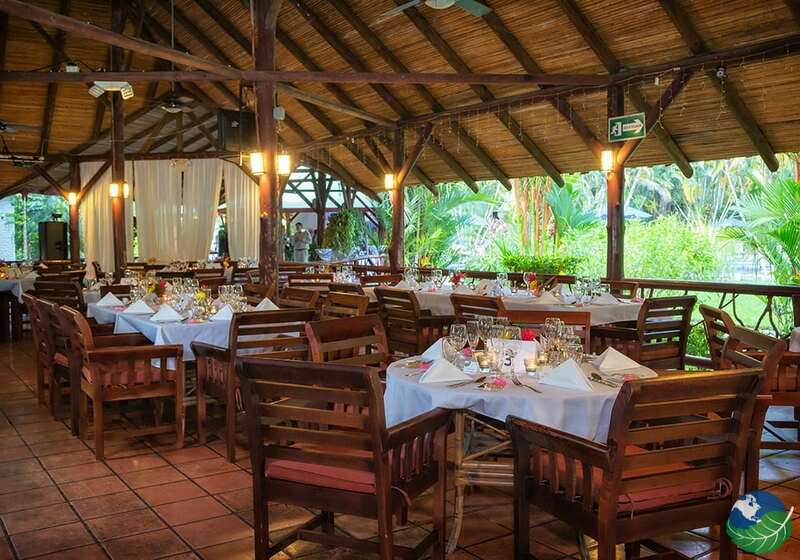 It’s typical rancho style restaurant offers delicious gourmet international and national cuisine, with fresh fruit and fish every day. See the special rates for a monthly stay, and meal packages make it even better! 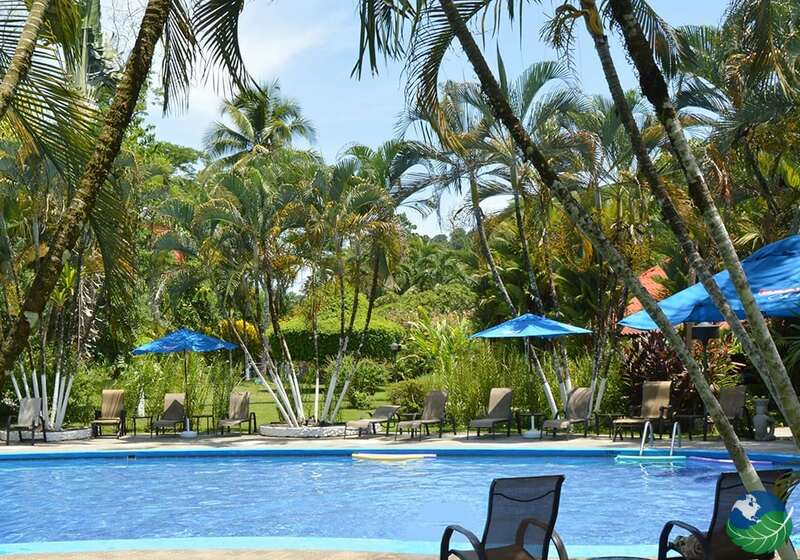 Come and enjoy the holiday you deserve and let the friendly staff, the beautiful sunshine, magical jungle and magnificent sea take care of you at the Villas Rio Mar, by one of the best Beaches of Costa Rica, in Dominical. Your best choice whether you are a surfer, an explorer or a sun worshipper! Dominical. Pool, Jacuzzi, Restaurant. A/C, Safe Box, Mini Bar / Fridge, Coffee Maker, Microwave Oven.